A gruesome murder in a sleepy 14th-century English village sets the stage for a taut drama laced with witchcraft, depravity, and long-buried secrets. 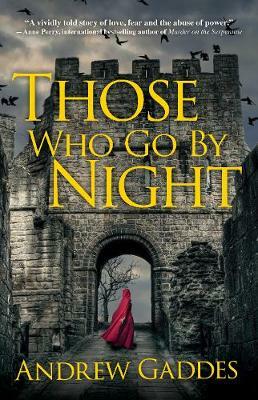 England, 1324--a land rife with superstition and gripped by fear of the Church's holy wrath. When a beggar is murdered in the quiet village of Bottesford, his body draped across the altar of St. Mary's church in a perverse pose of pagan sacrifice, the Pope's Inquisitor General places the small hamlet in his sights. Anxious to stave off the Inquisition, the Bishop of Lincoln dispatches Thomas Lester, son of a disgraced Templar Knight, to investigate--but the Archbishop's fanatical emissary has already arrived to conduct his own inquiry. Thomas's investigation uncovers a viper's nest of perfidious players: the secretive wife of the local lord, a notorious Irishwoman accused of witchcraft, and a depraved assassin who has left a trail of murder and blackmail in his wake. As this sordid drama unfolds, Thomas finds himself falling in love with a woman whose beauty is matched only by her defiance of the Church's fearsome power. Is the killer poised to strike again? Will the Inquisition bring its hammer down on the hapless hamlet? And could there be a real witch hiding in plain sight? The race is on to conjure the truth. Andrew Gaddes grew up in Grantham, England, in the heart of the historic East Midlands. He graduated from Oxford University with a degree in jurisprudence, following which he was admitted as a solicitor of the Supreme Court of England and Wales. After meeting the love of his life when working in Brussels, Belgium, she brought him back to her home state of Pennsylvania where he graduated from the University of Pennsylvania Law School and has since practiced law in and around Philadelphia. He lives in Wayne, Pennsylvania with his wife, Kathy, and their two children, Graham and Sophie.